This FREE 15-60 minute class can save lives. 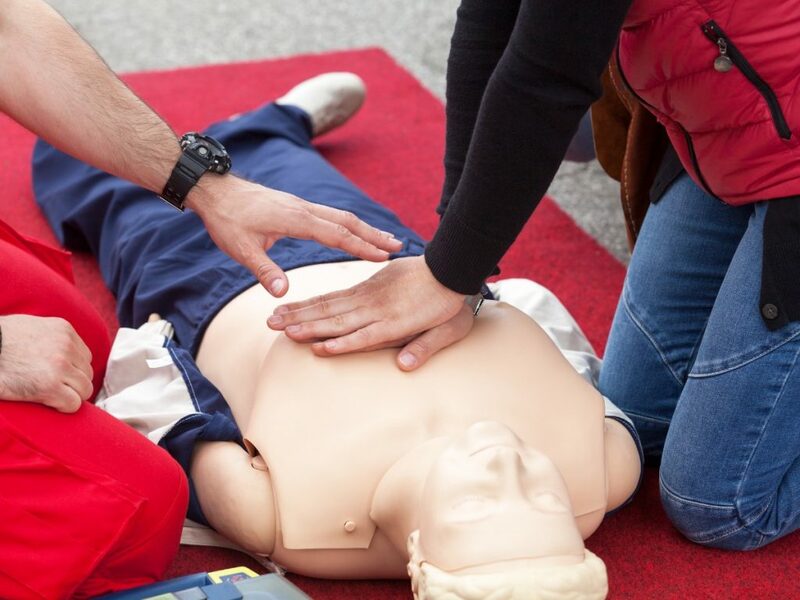 Learn how to administer hands-only CPR until professional medical help arrives. The next time someone needs help, don't be a bystander - save their life! Hands-Only CPR is a CPR technique without mouth-to-mouth breaths, focusing on pushing hard and fast in the center of the chest to keep blood flowing to vital organs. Participants will learn what to do when a teen or adult collapses, how to appropriately call for help and how to administer chest compressions until help can arrive. Instructor led learning with skills practice opportunity. This course DOES NOT INCLUDE an AHA certification card. If you require a certification, please see our other classes. This FREE non-certified class is recommended for the lay public that wants to learn how to save a life. * We offer this free training class off-site upon request.